Alright BIKINI BODY MOMMIES... Most of you are aware that I'm filming this round of my FREE 90 DAY Bikini Body Mommy Challenge 2 weeks a head of you all, and today marks my personal 30 DAY Weigh-in. FOR EVERYONE WONDERING... YES, I am ONLY doing the workouts that I am filming each week for you all -- NO MORE, no less. With that said... It is also important to remember that no matter how much effort you pour into these workouts, "YOU CAN'T OUT-TRAIN A BAD DIET!" --It's MY NUTRITION that is playing the biggest factor in getting the results you see pictured here. 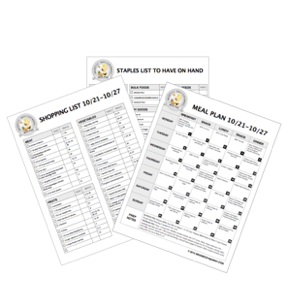 If you are struggling with YOUR OWN NUTRITION, if you are overwhelmed, or maybe just want everything "mapped out for you"... Don't forget you can be eating EVERYTHING IM EATING 5x PER DAY via my Weekly Meal Plan that is available here on my website.